Sapa – the lovely town of Lao Cai Province located in the Northwest of Vietnam, is bestowed the fertile land, breathtaking scenery and wonderful climate. This is one of the most attractive tourist attractions of Vietnam which draws millions of tourists every year. Many world famous photographer, bloggers and renowned websites praise the splendor of the terraced fields – the masterpiece of nature. Sapa is one of the seven most magnificent terraced fields in Asia and the world. 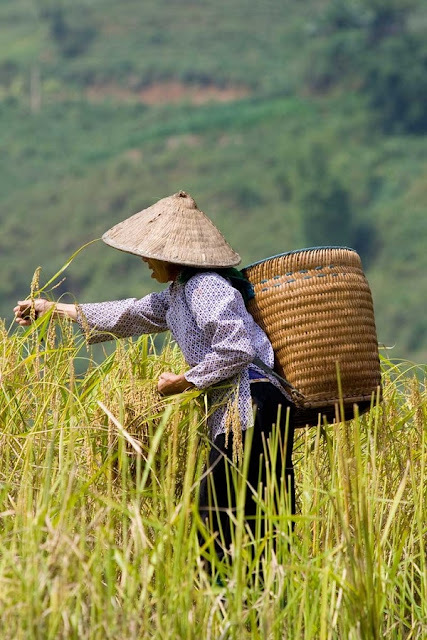 Articles on Travel and Leisure Magazine describes: "With great scenery looks like a ladder to climb into the sky of the terraced fields, Sapa becomes one of attractive destinations of Vietnam." 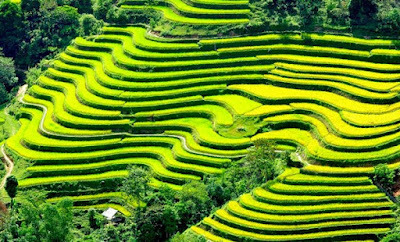 Recently, Travel and Leisure American Magazine has voted terraces of Sapa is one of the seven most magnificent terraced fields in Asia and the world. 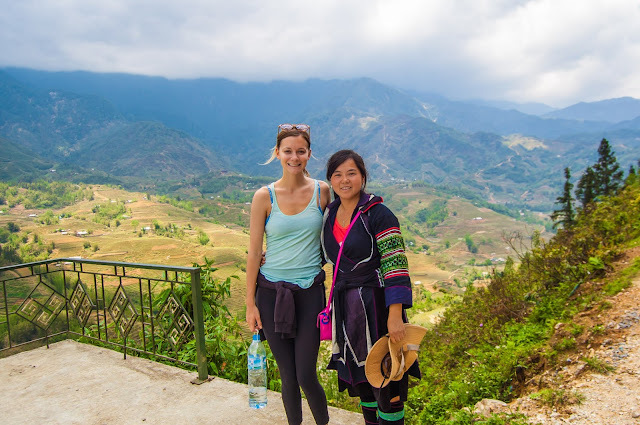 Articles on Travel and Leisure Magazine describes: "With great scenery looks like a ladder to climb into the sky of the terraced fields, Sapa becomes one of attractive destinations of Vietnam." With a distinctive type of climate. The rice cultivation has only one crop in a year, from June to October. The terraced rice fields have lush green color in summer and turn into vibrant yellow in autumn which is the harvested season. Hence, Vietnamsese people and tourists rush to Sapa in September to capture the most beautiful landscape period. 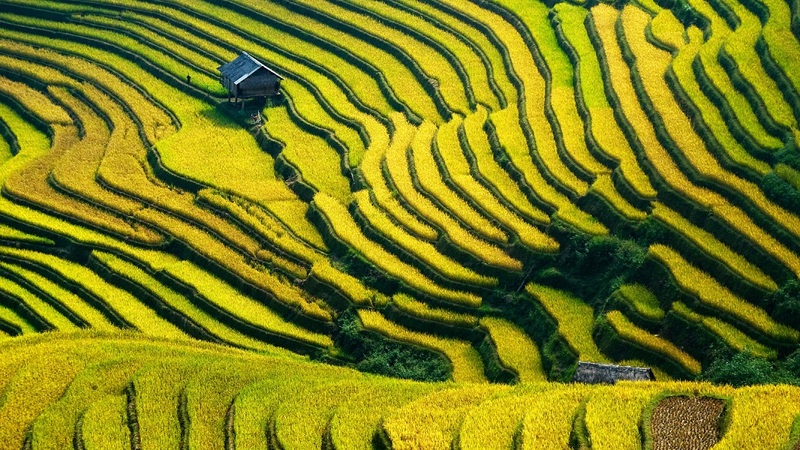 Specific of Sapa's terraced fields. The terraced fields had been created hundreds years ago by upland farmers whose hands are diligent. This is a methor of farming on steep terrain, mountains and hills. People take full advantage of the inherent nature conditions, natural impact then they cultivate and produce agriculture. Thereby, it is also create the natural landscape which is extremely unique. Over time and space, all of the North West region has high system of diverse and unique terraced fields that many domestic and foreign tourists known as terraces in Ta Van, Lao Chai, Ta Phin, Muong Khuong, Xi Ma Cai, Bac Ha, Y Ty, Mu Cang Chai, ... In the eyes of professional photographers, they recorded the live image of Sapa mountain example :these plots is in rainny season, the crop was lush with ripening rice ... All are made up the painting of the most amazing nature. Recently, the Travel and Leisure American Magazine which voted terraces of Sa Pa is one of the seven most magnificent terraced fields in Asia and the world. 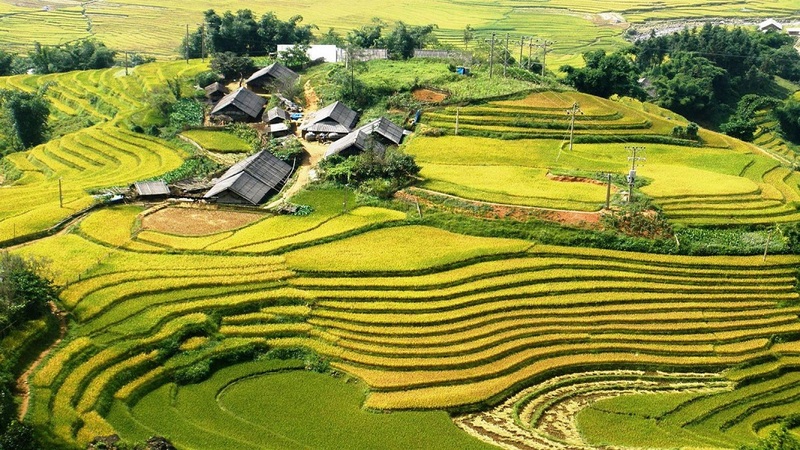 Articles on Travel and Leisure describes: "With great scenery looks like a ladder to climb into the sky of the terraced fields, Sa Pa becomes one of the most attractive destination in Vietnam." Before that, in 2007, the Ministry of Culture, Sports and Tourism in Vietnam has recognized the terraces of Hmong in La Pan Tan and Che Cu Nha in Mu Cang Chai (Yen Bai) is National Historic Monuments sothat should be embellist and preserve. 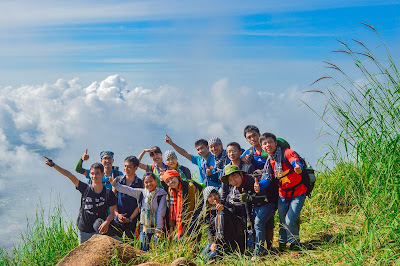 Beside, Western tourists really enjoy the trekking tours in Sapa. This town is voted to be the best trekking spot in Vietnam. Do not miss your chance to discover the precious gift that Mother Nature dedicates to Vietnam. 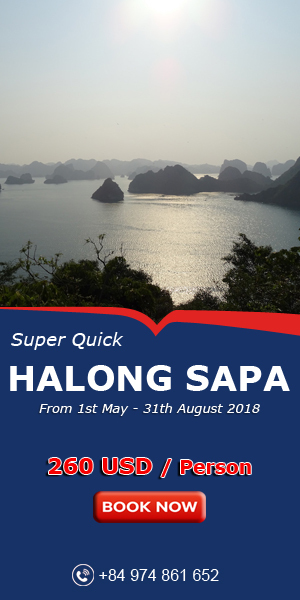 To come to Sapa, you can either travel by bus or train to Sapa from Hanoi. With the beauty of terraced rice fields, the tourists can learn about the customs and daily life, or the traditional rituals of northwestern people. All of things have deeply the national character. Or if you want a complete picture of the most beautiful terraced rice fields in the Northern Vietnam. You can refer to Sapa Mu Cang Chai package tour 4 days.